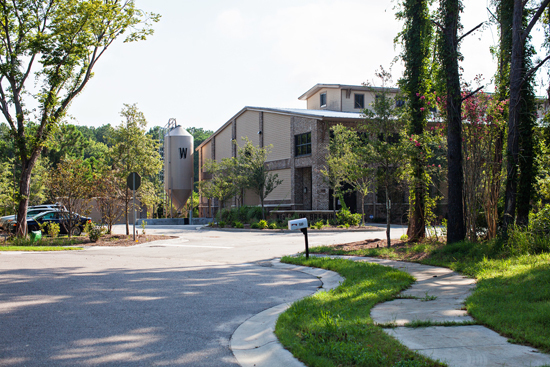 The entrance to Westbrook Brewing Company. 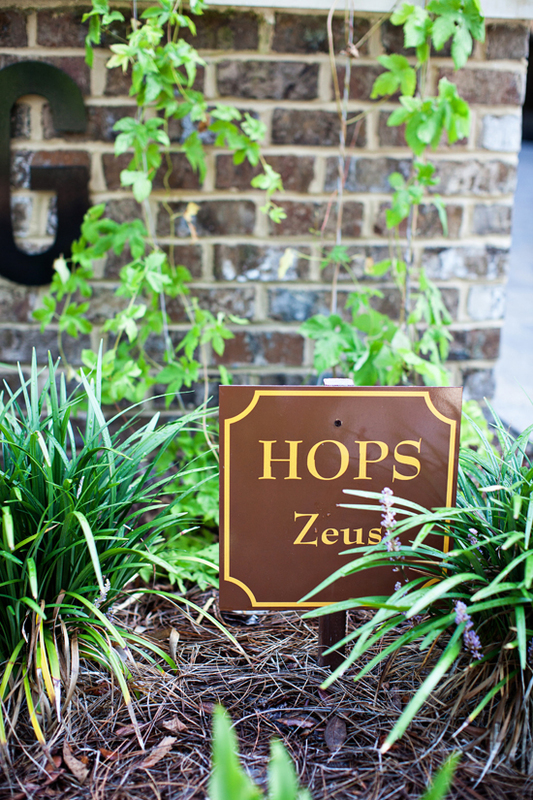 Zeus hop vines grow around the brewery. A view of Westbrook's production area. 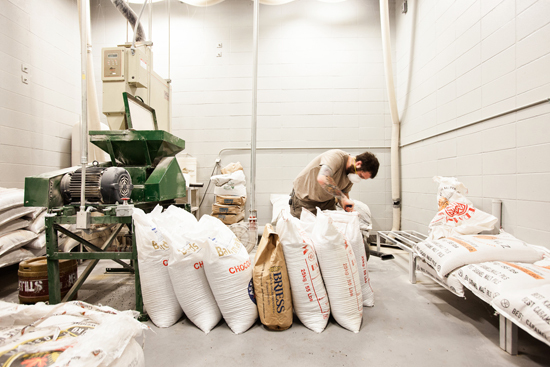 Grain going into the mill hopper. 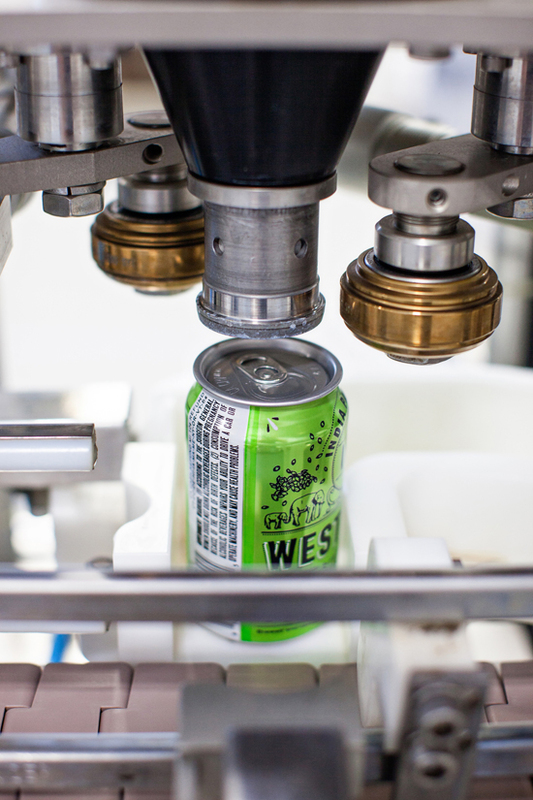 A can of IPA about to be seamed. 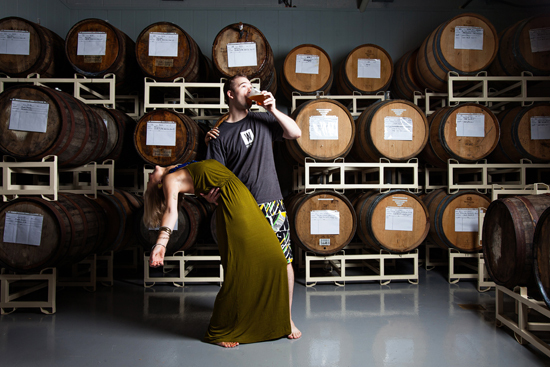 Morgan and Edward dance in the barrel aging room. Samples lined up in the tasting room. 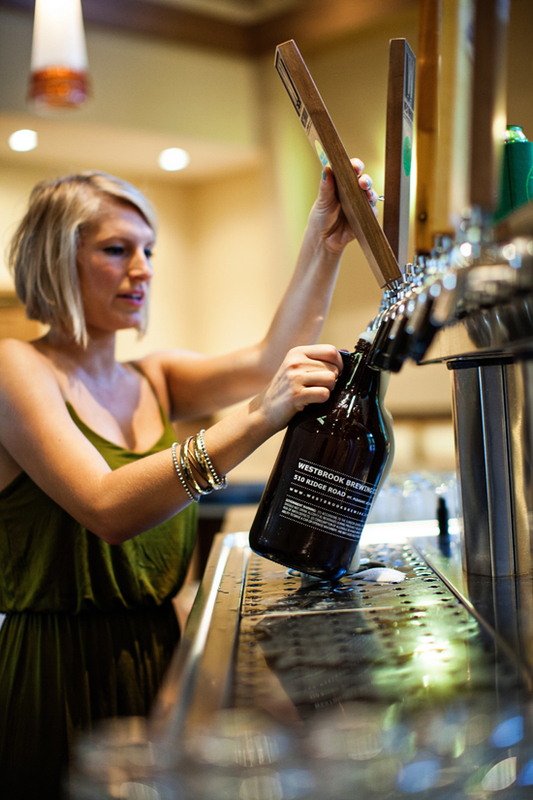 Morgan fills a growler to go. 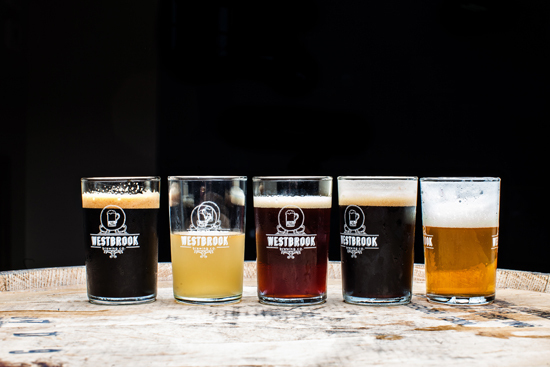 Westbrook Brewing opened in 2010, and this year is on schedule to turn out 6,000 barrels that will be sold to 350 restaurants and retailers. Aided by his hardworking wife and assistant Morgan (the couple met in high school carpooling to Bishop England), Edward is putting into mass production recipes he began developing at Furman and later Clemson, where he earned his MBA. One of those signature beers the ever-perky Morgan is quick to share is their White Thai, a spiced witbier (wheat beer) of which Edward has brewed six or seven versions, experimenting with various spices before settling on lemongrass and ginger. 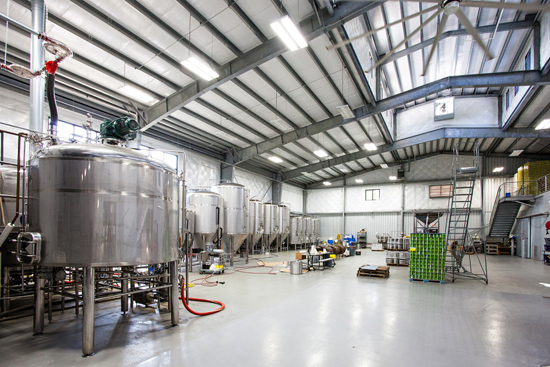 Once the brewery’s industrial equipment was in place, the new scale necessitated more tweaks. “There was some trial and error,” he says. 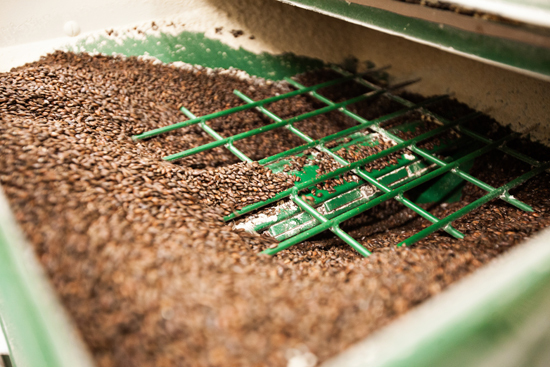 “The biggest challenge was translating my 15-gallon recipe to a 1,000-gallon version. You can’t just multiply by 10.” Whatever the equation, it must have worked; White Thai is a bestseller. “Edward is just one of those people who’s good at everything. He can read a book or study a subject once and understand it,” says Morgan. 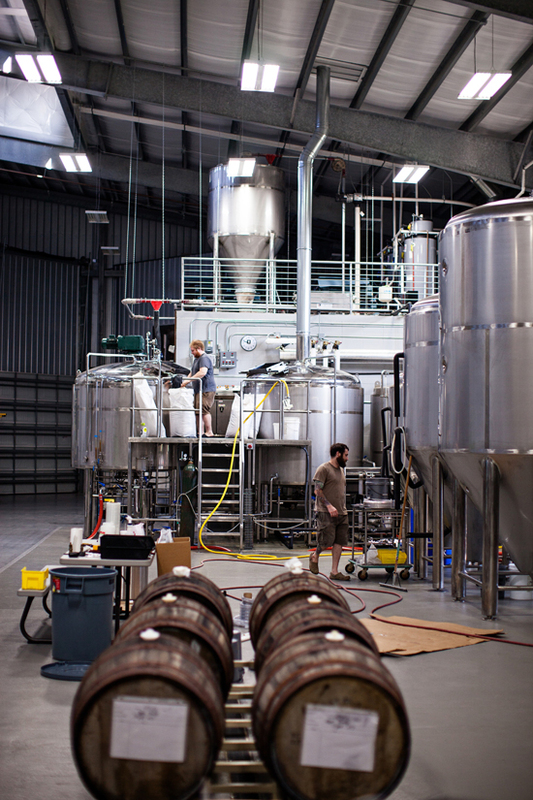 Step into their barrel room and you get a glimpse inside the tenacious mind of the self-taught brewer. There, upwards of 85 wooden casks—from French and American winemakers, the Jack Daniels distillery, and cider and brandy producers—are neatly stacked along the walls, each precisely labeled with the type of wood, the style of beer, the date it was batched, and notes on temperature. 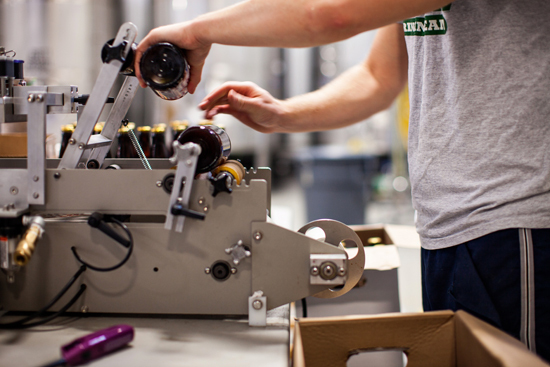 Morgan playfully calls the room the “beer nursery,” where each crafted brew ages and ferments for anywhere from three months to three years. 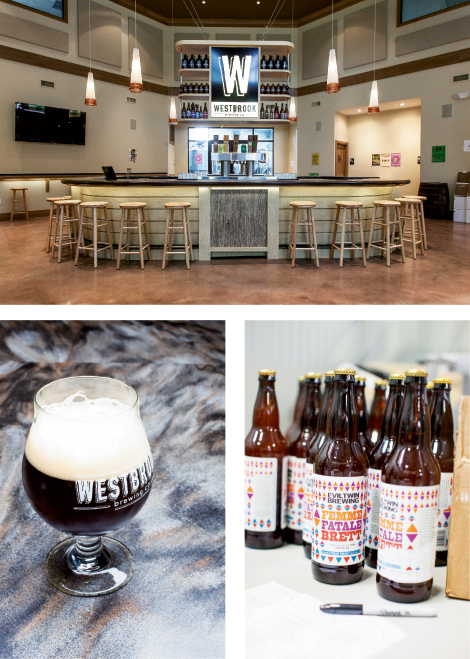 White Thai: a twist on the classic Belgian witbier style, this 5% ABV beer uses fresh lemongrass and ginger root instead of the usual spicing regimen of coriander and orange peel. Designed to soothe the stomach, it pairs well with seafood, Asian food, and Thai curry dishes ranging from medium to super spicy. Dark Helmet: a 5.9% ABV rye schwartzbier (black beer) made with roasted chocolate malt, it pairs well with hearty, spicy meat dishes; roasted nuts; or candied pears. First Anniversary Mexican Cake: this 10.5% ABV imperial mole stout was originally brewed as a favor for the Westbrooks’’wedding. Made with cocoa nibs, vanilla, cinnamon, and hot red chiles, it’s meant to taste like Mexican chocolate. Serve it with spicy foods, dark barbecue sauce, foie gras, or chocolate.